Costume designs for "The Bonds of Interest", 1924. Home » Costume designs for “The Bonds of Interest”, 1924. Costume designs for “The Bonds of Interest”, 1924. 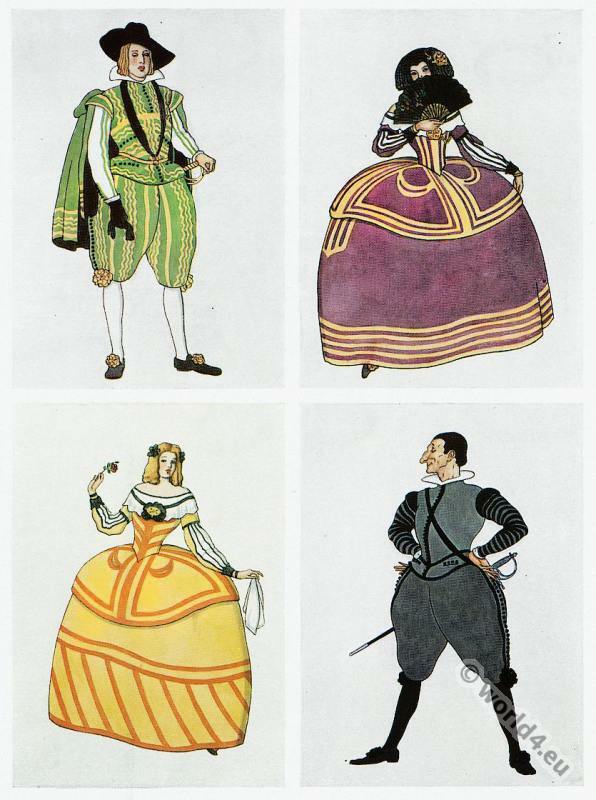 Baroque costume designs for Jacinto Benavente`s play “The Bonds of Interest” by John Garside, 1924. This entry was posted in 17th Century, 20s, 20th Century, Baroque, Fantasy costumes and tagged Artist, Baroque era, Fantasy Costumes on 11/25/14 by world4.